The new Epic Games Store is arguably the biggest industry news of 2018. The Fortnite and Unreal Engine developer is taking on Steam in what could prove to be the biggest shake-up of the PC games market since Valve’s platform launched back in 2003. The company plans to leverage its now huge PC audience by creating a new launcher for its own games with a new integrated store for third-party titles. 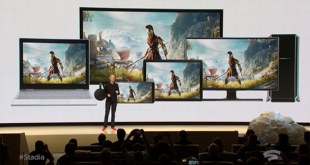 And by offering developers a vastly better revenue share than the market-dominating Steam, Epic believes it will kick off a new era of competition in the digital PC market. Epic will pay developers a revenue share of 88 per cent, compared to the 70 per cent that Steam currently offers. That means the company is taking less than half the cut that Steam currently takes from the vast majority of its partners. 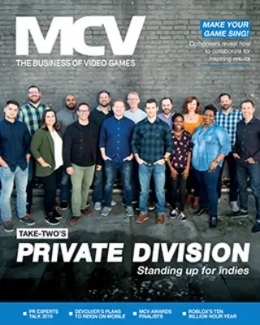 MCV talked to Epic Games founder and CEO Tim Sweeney about the new store. Starting with how the company hit upon that incredibly-competitive 12 per cent figure. “While running Fortnite we learned a lot about the cost of running a digital store on PC. The math is quite simple: we pay around 2.5 per cent to 3.5 per cent for payment processing for major payment methods, less than 1.5 per cent for CDN costs (assuming all games are updated as often as Fortnite), and between 1 and 2 per cent for variable operating and customer support costs.” Sweeney told us. “Fixed costs of developing and supporting the platform become negligible at a large scale. In our analysis, stores charging 30 per cent are marking up their costs by 300 to 400 per cent," he reveals. 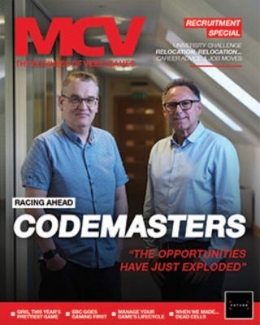 "But with developers receiving 88 per cent of revenue and Epic receiving 12 per cent, this store will still be a profitable business for us,” he explains. Furthermore, Epic will waive its usual five per cent royalty fee on Unreal Engine for games sold through its new store, effectively opening the gap for such games to 23 points versus Steam in terms of developer returns. 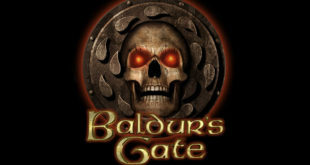 The store will not be restricted to such titles, though, with Unity-based and other titles also to feature on the store. "Stores charging 30 per cent are marking up their costs by 300 to 400 per cent." Whatever your game’s providence, that’s a huge gap, and developers will likely push potential customers to Epic’s service in order to pocket the extra returns, and could even price their games more competitively on the new platform, while still making the same (or better) returns than they would on Steam. And that while the traditional revenue splits had their place, that’s now ended Sweeney states: “There was a time when the 70/30 per cent revenue sharing model of Steam, the Apple App Store, and Google Play, were breakthroughs in efficiency. Now, 12 years in, stores have achieved vast economies of scale in a $25bn annual worldwide business, yet the benefits have accrued purely to the stores. 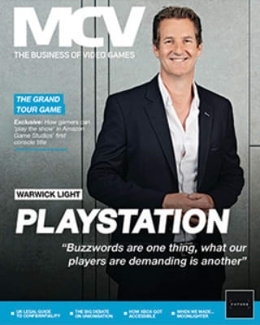 Epic’s business model recognises that it’s now possible to run a digital store with an 88/12 per cent revenue share, and still have a robust and profitable business. The news, intriguingly, comes only days after Steam cut its own take on some titles. Valve cut its revenue share to 25 per cent and 20 per cent, though only for titles that sell over $10m and $50m respectively. The move looked aimed at big publishers who are increasingly moving to their own launchers, such as Bethesda and Activision-Blizzard. The feedback from smaller developers was understandably negative and now the Epic Games Store’s numbers pour more fuel on that fire. What remains uncertain is whether the Epic Games Store will be as open as Steam. While we don’t have a direct response yet from Epic, we do not believe there will be third-party retail of keys for the store, which while it allows developers and the store to control prices, may cut off a potential revenue stream from sites such as Green Man Gaming and G2A. The company also isn’t yet ready to announce games and partners, with Sweeney simply telling us to “stay tuned.” Though he is willing to discuss the thinking behind the initial hand-curated selection, as opposed to simply flinging the doors open. The platform will undoubtedly receive a kickstart from the big Fortnite community coming through the launcher. But Epic also plans to expand its Fortnite Support-A-Creator initiative to the store as a whole, in order to reward influencers (as well as “streamers, storytellers, artists, cosplayers, musicians, and community builders”) for their efforts. That means that the store already has an influencer incentive scheme, and Ninja is already signed up to it. “Creators earn a share of revenue set by developers. For the first 24 months, Epic is paying for the first 5 per cent, so it will be at least that. But developers are always free to change the payout for their games as they see fit. Support-A-Creator supports YouTube and Twitch among other platforms but is not limited to them. We welcome creators from all platforms,” Sweeney explains. And what a thing to share. 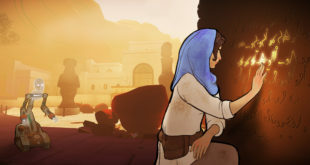 Epic Games has nipped in at the end of year and simply blown apart the PC games market, all of a sudden 2019 is looking a lot more interesting.